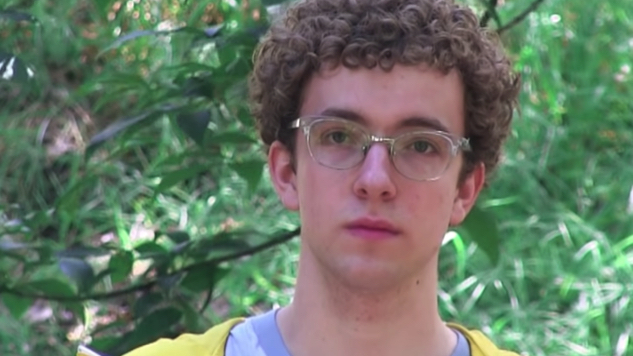 Daily Dose: Zack Villere, "super"
L.A.-based, Louisiana-bred pop artist Zack Villere has shared “super,” a single he’s released “just for fun,” with “no album on the horizon,” according to a recent tweet. He’s also announced that another song, “makeup,” is on the way, coming at 9 p.m. ET tonight (Dec. 12). In that same tweet, Villere, formerly known as Froyo Ma, encourages fans to share the song “with your dad’s friend if he’s nice.” Villere blew up last year with his video for “cool,” which found the slight, thick-framed Villere laying down some deceptively smooth baritone funk while dancing by himself in the middle of a forest. On Twitter, he’s relentlessly self-deprecating—“I’m 5’8”,” he responds to a tweet calling him tall and slender. He is, in a word, a goof, but he knows it, which is what makes “super” so cool. Villere’s vocals practically pour out of him, all slipping and sliding like molasses. His production is nothing to sneeze at, either—his synths and textures are exquisitely dreamy, just glitchy enough to give his alt-pop a little internet-edge. “When I kissed you upside-down I felt like Spiderman,” he sings with the confidence of goddamn Barry White. It’s a sensual, heartfelt love jam for people who are too jaded and digitally connected to ever publicly admit they like such a thing. It’s just lovely.